Spring! That magical, dynamic time of the year when the pulse of life quickens, the first buds get ready to blossom, the rays of sun get stronger and brighter, the womb of the earth begins to warm up! 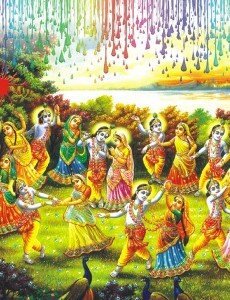 To help this transition, the ancient sages in India came up with different rituals and festivals to celebrate the changing seasons so that as we danced, sang, and prayed during the festivals we would inherently know it was time to change the foods we ate, the way we dressed, and how we went about our daily life. To stay in balance during this transition, which is organic and flowing for nature, we humans must synchronize our song with the dance of nature. Join us for a day-long celebration welcoming the spring! Please call 510-676-9147 or email shibana_s@yahoo.co.uk for more information and to RSVP. This entry was posted in Events & Retreats and tagged Ayurveda, bollywood, chanting, dancing, spring, Yoga by shibana. Bookmark the permalink.